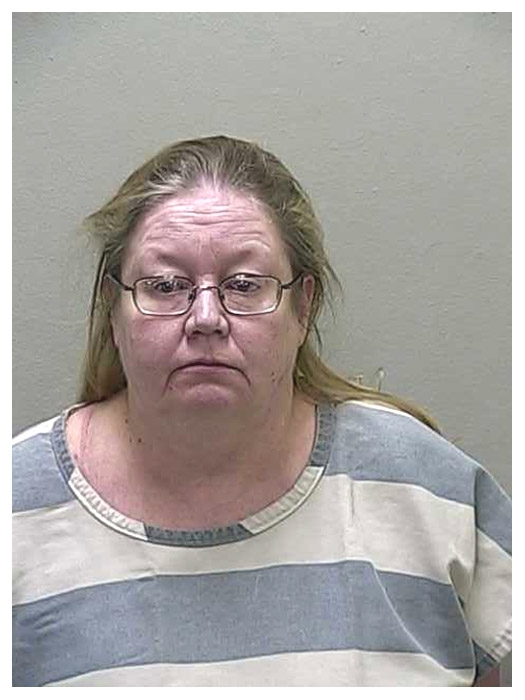 The Florida woman, 53, is facing a felony domestic abuse charge for allegedly striking her boyfriend several times in the head with a raw steak, according to police. Egan, pictured in the mug shot at left, was busted last night after a confrontation in the Dunnellon home she shares with Peter Schabhuttl. The 49-year-old Schabhuttl is described in a Marion County Sheriff's Office report as disabled and terminally ill with cancer. He told cops that Egan, his live-in girlfriend of 16 years, struck him "on top of his head with an uncooked steak (approximately 10-16 oz.)" after they quarreled about bread to be consumed at dinner. Schabhuttl wanted a roll. Egan, however, wanted him to eat sliced bread.